Due to the recent popularity of Muscle Cars the price on these vintage rides has increased dramatically. The current demand is also making it harder to find a good deal on a classic muscle car, but if you know where to look it is still possible to get your hands on one at a price you can afford. This may seem like an obvious place but you can still find good deals on muscle cars from local newspapers. In most cases local sellers are not muscle car collectors and do not have an idea of what these cars could be sold for in a national market, this leaves the door open to find a steal right in your backyard, but you have to be quick, these cars have a huge demand. You can also use your local paper to place want ads; this will get potential sellers to call you. This is great because you’re not competing against others that are searching the classifieds to find a deal on muscle cars. You will most likely get calls from people who were not even thinking about selling until they seen your ad. Online classifieds can be a great place to find your muscle car. The prices may be a little higher than your local market but you can still find a good deal. Just use caution with these, and be sure you contact the seller so you can talk to them one on one and get more details. This is possibly the best way to find an unbelievable deal on a classic muscle car, but it also involves the most work and it is not for everyone. Right now there are thousands of muscle cars sitting in barns, under carports, and out in yard just waiting on you to find them. Many times the owner of these cars will not part with them because even thought they have not even touched the car in years it carries some sort of sentimental value, but if you catch one on right day you can usually get an amazing deal on a classic muscle car for much less than you would pay anywhere else. You just have to get out there, find the cars, and convince the sellers to part with it. This is my personal favorite place to find a bargain on a muscle car. Even though this is a national market you will find local sellers (unaware of the national market prices) placing their valuable ride for sale on ebay. You will definitely have competition for these rights but with careful bidding you can land yourself a great deal on your dream muscle car. http://www.Musclecars-forsale.com is a site that list muscle cars that are for sale on ebay, the list is updated several times daily so you are sure to find the classic ride you are looking for. You don’t have to spend a fortune to own the muscle car of your dreams. Check you local papers, visit online classified sites, Drive around your area, and check on ebay. 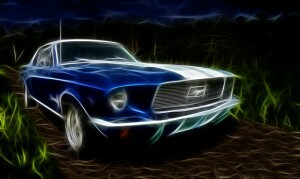 If you do these things you are sure to find the classic muscle car you are looking for.